To ensure the correct numbering and lettering on your order, please fill out correct form and fax it to us. NOTE: You must also place an order for the items via phone, mail, fax or our online store. Submitting the screen printing information is not an actual order, but it is needed to process your order. Forms on this page are in Adobe Acrobat PDF format. If you are having Screen Printing done on your garments please click on the correct Screen Printing Worksheet form below to view as a PDF file. You will need to fill it out and fax it to us. Our fax number is 952-808-0101. If you run out of space on the form, you can print out and fax page 2 of the form however we prefer you to use the excel spreadsheet below. For Jersey/Pant orders of more than 18 which we are numbering we would like you to submit the numbers/sizes via email on this Excel Spreadsheet, click HERE to download it. Save the document to your computer, fill in the numbers/sizes and email the spreadsheet to custom@midwestvolleyball.com. Submitting the information this way reduces errors. You still will need to fax us page 1 of the screen printing form. These are the various standard fonts which are commonly used for athletic apparel. Please click HERE to view the PDF file. Most jerseys are made with a moisture-absorbent material and require special handling. Slight ink variations may occur due to the manual silk screening process. Midwest Volleyball Warehouse is not responsible for damage due to improper care of garments. If you are having embroidery done on your garments please click on the correct Embroidery Worksheet form below to view as a PDF file. You will need to fill it out and fax it to us. Our fax number is 952-808-0101. For orders of more than 18 which we are numbering we would like you to submit the numbers/sizes via email on this Excel Spreadsheet, click HERE to download it. 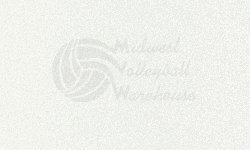 Save the document to your computer, fill in the numbers/sizes and email the spreadsheet to custom@midwestvolleyball.com. Submitting the information this way reduces errors. You still will need to fax us page 1 of the embroidery form. For more information on screen printing and embroidery, plus to see pricing, please click HERE to view the PDF file. Our shipping policy and rates can be viewed by clicking HERE. Copyright © 2016 by Midwest Volleyball Warehouse Inc.